Gucci is not stopping till the money stops. 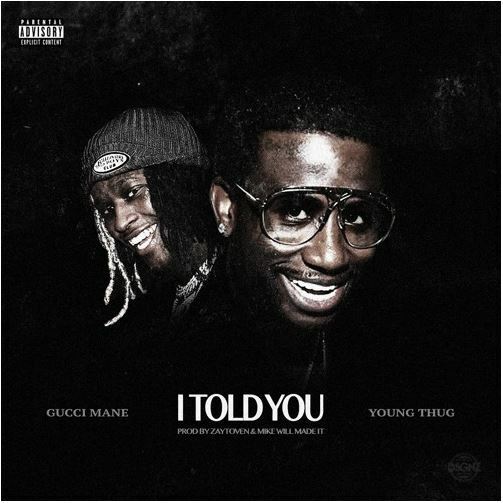 The trap god is joined by Young Thug on his new single, I Told You. The song is produced by Zaytoven and Mike Will Made It. Guwop will be dropping another album this December called The Return Of East Atlanta Santa. Lookout for it. Stream "I Told You" below.